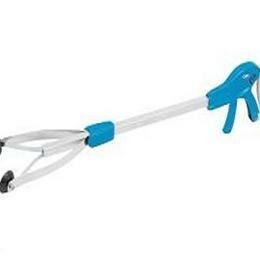 These easy to use reachers help users grasp items from hard-to-reachplaces. A 90 degree rotating arm makes grasping objects easy from bothabove or below.Other Features & Benefits Wrist support for those with weakened strength. Locking tab holds item in place for those lacking strength.